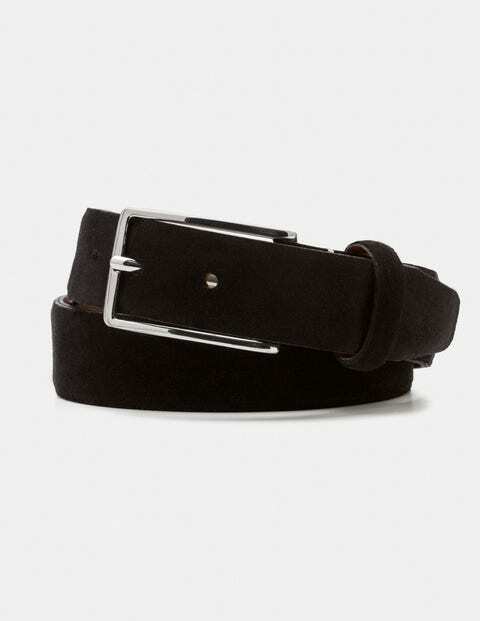 With smooth Italian leather on the inside and soft, rich suede on the outside, this belt is smart enough for every event in your calendar. Supple yet substantial, it was made right here in England, featuring a sleek gunmetal buckle and our signature contrast hand-stitching. It comes in a gift box, making it the perfect present.